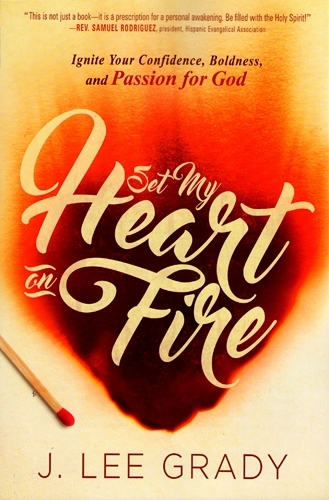 J. Lee Grady, Set My Heart on Fire: Ignite Your Confidence, Boldness, and Passion for God (Lake Mary, FL: Charisma House, 2016), 240 pages, ISBN 9781629986104. Lee Grady is well known in Pentecostal and Charismatic circles. For a number of years he served as the editor of Charisma magazine, a publication devoted to the Spirit-filled life. 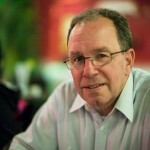 He has also authored a number of books; some of his more recent titles have focused on the subject of women and ministry. This, his most recent book, focuses on the ministry of the Holy Spirit. Grady has written other books about the Holy Spirit as well, specifically, What Happened to the Fire? (1994) and The Holy Spirit is Not For Sale (2010). The author has established himself as a no nonsense writer who is not afraid to tackle the difficult issues in the church, perhaps especially problems that exist in the charismatic church. In this current volume Grady shares some of his own personal journey with the Holy Spirit. He also covers doctrinal and practical issues concerning the person and work of the Holy Spirit. At the end of each chapter there is a section called “Let’s Talk About It” which contains statements and questions to help the reader process the material in the chapter. Each chapter closes with “A Dangerous Prayer” that can be prayed to invite the Lord to make real in the reader’s experience what they have read about in the chapter. Some of the doctrinal topics discussed in the book concern the identity of the Holy Spirit and His ministries. For example, chapter two is titled “The Holy Spirit is Not an ‘It.’” In this chapter, Grady explains that the Holy Spirit is not just a power, He is a person, specifically, a divine person. Chapter four, “The Holy Spirit is a Multitasker” lists a number of ministries that the Holy Spirit fulfills in the life of the believer, He regenerates, empowers, guides, unites, intercedes, comforts, and refines. Chapter seven, “How To Minister in the Spirit’s Power” gives a brief description of each of the nine gifts of the Holy Spirit mentioned by the apostle Paul in 1 Corinthians 12. On the practical side, Grady offers much valuable instruction regarding living life in the Holy Spirit. One of the things he says near the very beginning of the book is that “you cannot expect a life-changing encounter with God unless you open your Bible and seek Him in its pages” (page 5). He says that other things are also essential to a powerful life in the Spirit, these things include: prayer, praise, and fellowship. Grady also talks about challenges to the Spirit-filled life. With regard to the Baptism in the Holy Spirit he cites six things that can hinder a person from receiving this experience. He mentions: doubt or intellectual pride, religious tradition, fear of the supernatural, unconfessed sin, emotional wounds, and an unyielded spirit. In addition to listing the problems he tells the reader what must be done in order to get past the obstacles.